I will be travelling to HK together with a few friends in September 2011. We have booked our hotel at Casa Hotel at Yau Ma Tei. Could you advise me how to get to the hotel from hong kong international airport? we will be arriving at hk around evening...will taking taxi be very jam? hi! im jenny fr the phils. my family and i will be travelling to hk on apr 27-29. as u can see its just a short trip and as much as possible i don't want to waste time to ride the mtr and look for the map for the nearest station to go to our destination. just want to know if casa hotel have a shuttle to bring us to hk Disneyland on our first day and 2nd day to ocean park. then they will also pick us up on a certain time from Disney and ocean park? hoping for your fast response. tnx! Hello, i really need your help, could you make an itinerary for 3 full days in HK with bus/mtr? and these are the place that we want to visit; ngongping, disneyland, avenue of the star, the peak, house of wax, shopping (esp. HnM & Toys R Us), ladies market and we planned to stay at Mini Hotel Central. As already mentioned above, here you can read instruction in getting to hk attractions from Casa hotel. Let me know if you want any other specific instructions other than what you read on that post. Hi thanks a lot this site it helped us a lot. We got here in casa hotel without any delay because of your help. May I ask how to get to Avenue of stars and from there going to Ocean Park? I would appreciate your help and assistance. Based on HK traveler reviews, I would suggest Carlton Guest House (actually both hostel are located in Chungking Mansions). Here's to read more about the hostel location and a sample itinerary. For toys shopping, would suggest "Toys "R" Us" and here's to read in getting there. Hello, I want to ask the nearest hotel to the bus stop on A21 Tsim Sha Tsui (except Casa), choose las Vegas guest house or Carlton guest house? I also plan to go to disneyland, avenue of the stars, etc, I will be in hongkong for 3 full days. actually 5 days, but the first and last day I use to get on a plane. in addition, is there any advice on where to buy cheap toys action figures than in toys city? thank you. Here's to read travel instruction in getting to Disneyland and Ocean Park from Casa Hotel (post dated Aug 6, 2011). To Disneyland: follow the MTR route in getting to Ngong Ping but get off at Sunny Bay station from Lai King station and interchange trains. Take the Disneyland Resort Line. Travel time is 34 minutes at HK$17. *Follow travel directions in reverse order in getting back to your hotel. Hi, may I ask what is easiest transport from and to disneyland - casa hotel and ocean park from/to casa hotel. I will be traveling with kids. May I ask your advise please. There's NO direct Airport Express shuttle bus route to Casa Hotel. You can opt to take the Express shuttle bus route K5 from Kowloon station that will stop at The Cityview Hotel Hong Kong located at 23 Waterloo Road, Kowloon, Hong Kong. It is about 4 minutes walk to Casa hotel. Please scroll up to see map of Casa hotel with the Cityview hotel marker. hi, Do any of the airport express shuttle buses go anywhere near the Casa Hotel. I know the maps are deceiving, but, Kowloon Station to Yau Ma Tei looks as if it should be easy? As already mentioned above, there's a bus stop NOT really right at Casa Hotel but close to it. The bus stop of the CityBus CTB A21 from Airport (Ground Transportation Centre) is situated at about 2 minutes walk to and from Casa hotel crossing the Nathan road. Please refer to the map above and click the markers to be able to recognized its specific location. I have a question. Does the Hotel Link make stops at the Casa Hotel on Nathan Road? Yes, the nearest bus stop to the Casa hotel when taking the CTB A21 from HK airport is the 9th bus stop which is located at 514 Nathan Road opposite Man Ming Lane (please refer to the map above and click the markers). For additional info., bus stop no.8 is located at 590 Nathan Road outside Sino Centre and bus stop no.10 is located at 348 Nathan Road near Nathan Hotel. Thanks HKInsider for the info. Just wanted to clarify the first information was that it is the 9th bus stop is Nathan, is this the case? I'll be staying in Casa Hotel. The CityBus CTB A21 has a route from Airport (Ground Transportation Centre) to Hung Hom Station via Mong Kok, Yau Ma Tei, Jordan, and Tsim Sha Tsui area. The first bus that departs from Airport (GTC) is scheduled at 6:00am and the last bus will depart at 12 midnight with 15 to 20 minutes interval. Journey time: approximately 75 minutes @ HK$33. Half fare for children under the age of 12 & Seniors aged 65 or over. * CityBus CTB N21 with a route from Airport (Ground Transportation Centre) to Tsim Sha Tsui (Star Ferry) via Tung Chung --> Lantau Link Toll Plaza --> Tsing Yi --> Mei Foo --> Cheung Sha Wan --> Sham Shui Po --> Prince Edward --> Mong Kok --> Yau Ma Tei --> Jordan. Journey time: approximately 80 minutes @ HK$23. * CityBus CTB N11 with a route from Airport (Ground Transportation Centre) to Central (Macau Ferry) via Tung Chung --> Lantau Link Toll Plaza --> Jordan --> Tsim Sha Tsui East / Hung Hom Station --> Causeway Bay --> Wan Chai --> Wan Chai --> Central --> Sheung Wan. Bus daily service hours as follows: 00:50am, 01:20am, 01:50am, 02:20am, 02:50am, 03:20am, 03:50am, 04:20am, 04:50am. Journey time: approximately 75 minutes @ HK$31. I was searching through google on my trip with family and found this information. It is truly helpful. I am going to HK this August and will be staying in the same hotel. May I know what the schedule of the buses from the airport going to the city? I'll be arriving in HK at around 12 midnight. THanks in advance! is the bus available 24hours? our ETA is at 12mn. Hi, Thanks so much for the helpful information. I'm currently planning my itinerary. Shall be back for more help (if needed). Thank you so much once again! Here's the Casa Hotel Hong Kong location map and the nearby transportation access points. Have a pleasant and memorable stay in Hong Kong! 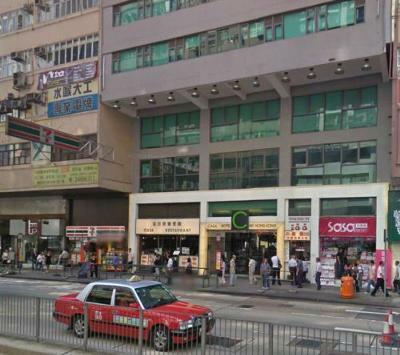 Casa Hotel Hong Kong is a 3-star hotel conveniently located at 487 - 489 Nathan Road, Kowloon, Hong Kong. Casa hotel is not only close to the access of major transportation in the city but also a walking distance to the well-known theme street market such as Ladies' Market and Temple Street Night Market. * By Bus. Take the CityBus CTB A21 from Airport (Ground Transportation Centre) about couple of minutes walk to your right upon exit at HKIA arrival hall (very easy to get there, just follow the directional signs at the airport). While on board on the bus, count the Airport (GTC) as bus stop no.1 and get off at bus stop no.9 located at 514 Nathan Road outside KAm Wah Building and opposite to Man Ming Lane (which is close to your hotel, refer to map below and you need to cross Nathan road). Bus travel time is 51 minutes @ HK$33. Getting back to HK airport by CityBus CTB A21 is much easier, the bus stop is just steps away from your hotel located at 471 Nathan Road after Public Square Street and outside Sunbeam Commercial Building. Bus travel time is 55 minutes @ HK$33. * By Airport Express Train + MTR train. Take the Airport Express train from Airport station to Tsing Yi station. Interchange trains to the Tung Chung Line going to Hong Kong station and just get off at (next station) Lai King station. Interchange trains to the Tsuen Wan Line going to Central station and get off at Yau Ma Tei station then take Exit C. Total train travel time is 37 minutes @ HK$60 (using octopus card). Your hotel is just a steps away from the exit (please refer to map below). * Taking a taxi from HKIA to Casa hotel is always a very convenient way of travel but it is quite expensive. Travel time is about 45 minutes @ HK$225. * Take the MTR trains from Yau Ma Tei to Tsim Sha Tsui station (5 minutes @ HK$3.7) and take Exit F. Walk about 5 minutes to the TST Star Ferry terminal and board the Star Ferry to Central (9 minutes @ HK$2.5). Take the bus 15C at nearby Central Ferry Bus station to the Peak Tram terminus (10 minutes @ HK$4.2). * Take the MTR trains from Yau Ma Tei to Central station (10 minutes @ HK$9.7) and take Exit J2. Here's to read travel instruction from MTR Central station Exit J2 to the Peak tram terminal.